An executive from the park says they are ‘coming to grips with people within our ranks who are sabotaging our efforts in this campaign’. Three rangers at the Kruger National Park have been arrested on suspicion of rhino poaching. The South African National Parks (SANPArks) has released a statement declaring the arrests a “success”. According to the statement, the suspects were based at the Crocodile Bridge section of the park and are currently in custody for further investigation while they await their first court appearance. “It is always very sad when your own staff become involved in poaching,” said Kruger National Park Managing Executive, Glenn Phillips. “However, I want to congratulate the SANParks and SAPS investigators for their diligent work in bringing these members to book,” he continued. “Slowly but surely we are coming to grips with people within our ranks who are sabotaging our efforts in this campaign. We still have confidence in those who are committed and loyal; and would like to encourage them to continue with the excellent work. We will not be deterred in ensuring that we are successful in continuing the fight against the scourge of wildlife crime in KNP,” Phillips said. “Those who are still involved or know of those involved; and would like to give us information; both the CEO of SANParks and I are willing to listen”, he added. According to the statement, the arrests were a joint effort by the SANParks Rangers, Environmental Investigation Unit, SAPS and Directorate for Priority Crime Investigation. 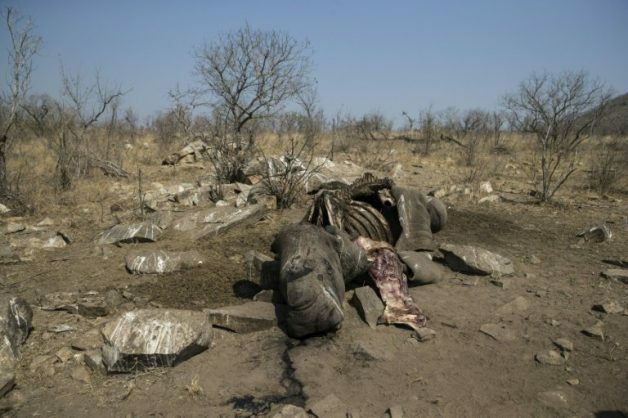 “SANParks remains committed to doing everything in its power to fight the scourge of poaching,” the statement concludes.